The 2014 World Cup in Brazil is over. It brought much joy, and huge disappointment for the hosts – perhaps even worse than the Maracanazo in 1950. Now attention in Brazil will turn to hosting the next great inter-cultural event, the 2016 Rio Olympics. And the football world will plan for the next World Cup in another BRIC country, Russia in 2018. But the global challenges faced by us all cannot just be addressed in four-year planning rounds. Climate change, biodiversity loss, deforestation and growing social and economic inequalities: these are all facing tipping points over the next 50 to 60 years, requiring some long-term thinking by governments and policymakers in both the fast-growing and already affluent countries of the world. Thomas Piketty has shown in his hugely influential book, Capital in the 21st Century, that income in most countries is now distributed more unequally than in the 1970s, and the projections into the future are for this to worsen. The rich are getting relatively richer, the poor are getting relatively poorer, and the middle is becoming increasingly squeezed. There is evidence that unequal countries are unhappier. The income Gini coefficient for Brazil is high, which means that relatively few people are reaping the rewards of Brazil’s economic successes of recent times. The same is true for all other BRIC countries, but many affluent nations too. Even in Germany and other northern European countries, which have traditionally been more equal, the Gini coefficient has been rising over the past two decades. If this trend continues, the world will increasingly become like the unequal parts of Brazil, not the other way around. But citizens will not accept rising levels of inequality for long. The recent World Cup-related protests in Brazil show that people are discontent with poor public services and diverted public expenditure on infrastructure, like football and athletic stadiums, that appear to enrich those parts of the economy that are already wealthy. This might be a sign of things to come. Brazilians are demanding better education and transport, as well as a clampdown on widespread corruption. Now that the World Cup is over, it is these issues that will keep Brazilian policymakers awake at night, not the host’s dismal performance in the semi-finals. Another tipping point in the making is in the Amazon, the world’s largest rainforest. It is hugely important as one of the world’s most biodiverse places and a “carbon sink” of planetary importance. It is also crucial for regulating the weather for large parts of the North Atlantic area. The Amazon rainforest near Manaus. 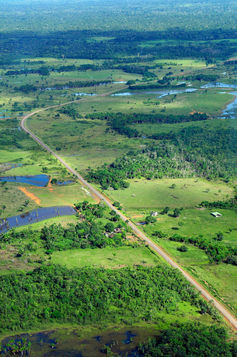 There is evidence that the Amazon’s dry season is becoming longer, due to climate change and decades of deforestation. Less rainfall, more forest fires and continuing deforestation – these factors are already reinforcing one another, risking a dangerous tipping point for the entire rainforest. By the middle of this century large parts of the Brazilian Amazon could have become dry savannah with immense implications for the world’s carbon cycle and weather patterns, not to mention the planet’s gene pool. Although Brazil’s economy is greener than most of its peers, with less-than-average carbon emissions per capita, its hydropower and biofuel revolution have been contributing to deforestation. Large scale soy and maize plantations – largely for export to China – are also to blame. While the Brazilian government is trying to protect the Amazon from unregulated agricultural expansion, some agri-businesses have been lobbying hard for less stringent protection of the Amazon. Brazil’s commodities-based export economy is not sustainable in the long-run. If Brazil’s wealth continues to be dependent on extractive models, which do not account for all of their, what economists call, externalities, then the Amazon will not survive, and we will breach more planetary boundaries. There are alternative models of development that promise more equitable and sustainable futures. We demonstrate how communities in both affluent and developing countries are already taking action to build resilient and sustainable lifestyles in our forthcoming book, Ecocultures: Blueprints for Sustainable Communities. Ecocultures are exemplars in the art and science of sustainable living. For us, ecocultures are communities with high social capital, showing strong internal coherence and equity, as well as with close connections to nature. One of our case studies is from the south of Brazil. The Céu do Patriarca ecovillage is a self-organised, ecologically-driven community in the state of Santa Catarina. Established 25 years ago, the community has become a model for increased social, ecological and personal well-being and resilience. Our argument is not that we all have to move to ecovillages in the middle of the rainforest. But policymakers can learn from the design principles of these ecocultures, exploring opportunities for scaling them up to city, regional or even national levels. This scaling-up has already begun. 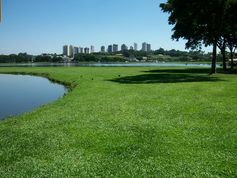 There are excellent examples of sustainable practices in Brazilian cities, such as Curitiba. Urban agriculture, for example, can reconnect people to nature, as well as provide local food to urban, and particularly disadvantaged, communities. In many ways the world is condemned to radically change its ways of life to face the challenges ahead. Ecocultures could provide policymakers in Brazil, and in other countries, with important lessons on how to transition to a more sustainable and equitable future. This might just save the planet. Brazil, though, might not want a World Cup for at least another 64 years.